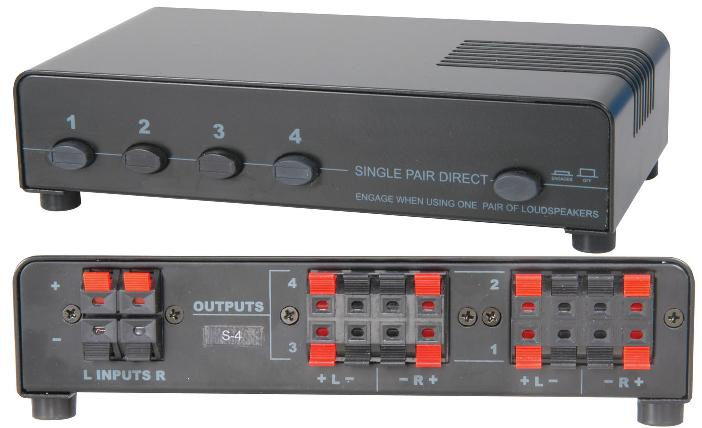 This metal switcher allows the distribution of a stereo amplifier. Simply connect the output of an amplifier to the box, this output can then be distributed to up to four different stereo speaker sets in four different locations. Each speaker pair can be individually activated via the push buttons on the front of the box.